December 7, 1944, Chicago — 52 states of the United Nations ink a historical document: the Convention on International Civil Aviation. The International Civil Aviation Organization (ICAO) was born to oversee and regulate the industry on a global basis. This day is now celebrated as the International Civil Aviation Day. As of today, 192 countries have joined the Chicago Convention. 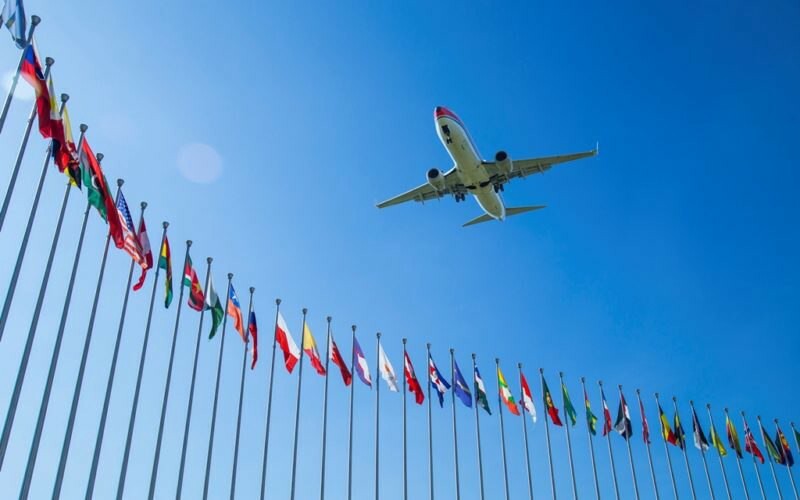 The creation of ICAO was a crucial milestone for the industry, a turning point that introduced a major change. The organization has been working hard to make international flights safer and more comfortable since its foundation. However, the industry still struggles to handle some of the issues preventing it from taking a leap into the future. We at Aeron believe that blockchain technology represents one of the long-awaited solutions. We all know the adage about plane crashes being rare but deadly. The security of a flight depends greatly on people: pilots and crew members. This is why their track records matter greatly when preventing air accidents. You certainly remember the tragedy of Germanwings Flight 9525, when the co-pilot, Andreas Lubitz, deliberately caused the crash of a plane back in 2015. Lubitz had mental issues and was declared “unfit to work” by his doctor but he kept this information from the employer. If the data had been thoroughly monitored, collected, and kept accessible by the company, about 150 people wouldn’t have lost their lives on that day.